We all know that artichoke plants are beautiful flowers. 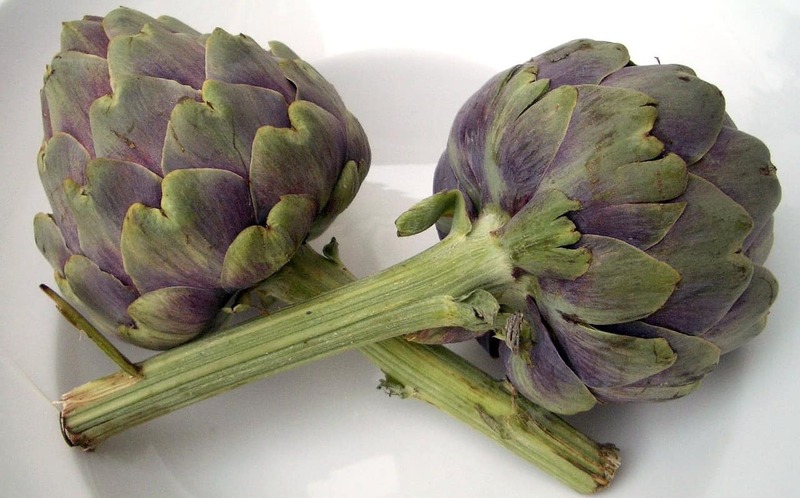 We also know that artichoke is edible, especially the buds and the leaves. Still, how to eat artichoke the right way? How do we cook any, so it becomes edible and delicious? There are recipes that you can try here. If this is your first time looking at an artichoke plant, then it is understandable. Looking at one may make you feel reluctant. Some may second guess the idea of consuming it on a regular basis. Is that good? Are they going to regret trying it? Guessing from the outer appearance is difficult. An artichoke is a flower too, alias the bud of a thistle. There is a fuzzy center covered by the leaves. 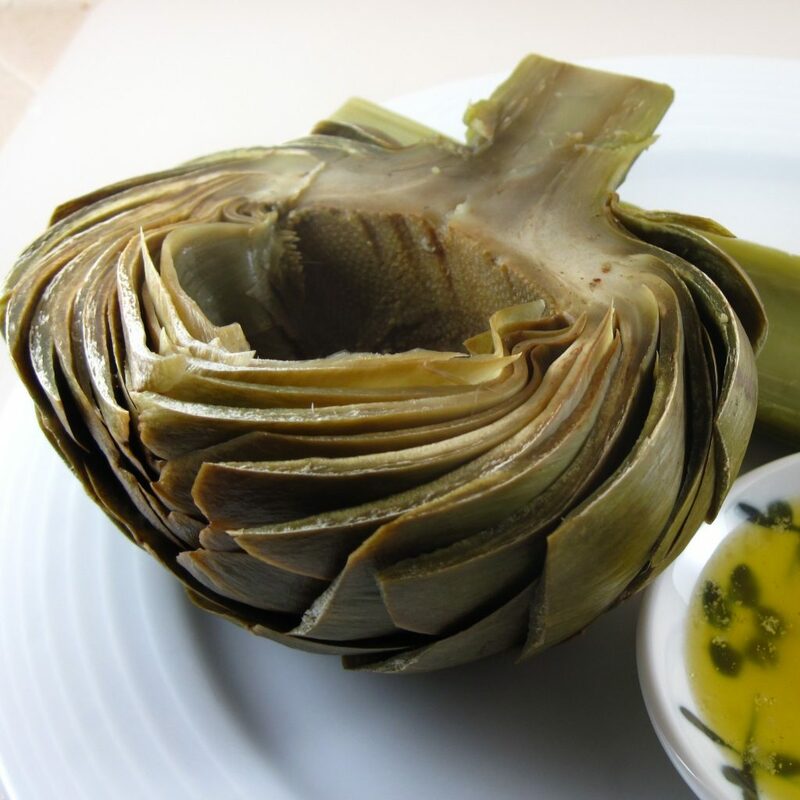 This center is called a “choke.” It sits on a meaty core that is called an artichoke heart. It is how to cook artichokes. 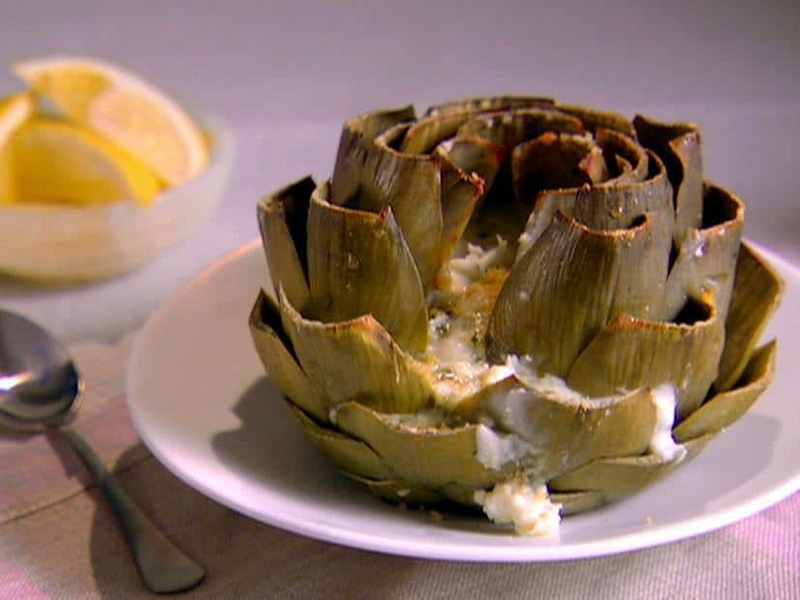 There are many ways to cook artichokes. You can boil, stir-fry, grill, bake and even steam them. With the existence of many artichoke recipes, you can try them one by one. Once you find out what you like best, you may continue with that one. Wash and trim it carefully. Some scales can be quite sharp, so do it gently. Rub half a lemon all over the cut surfaces to avoid them from turning dark brown. From the outside in, loosen and spread out the leaves gently. 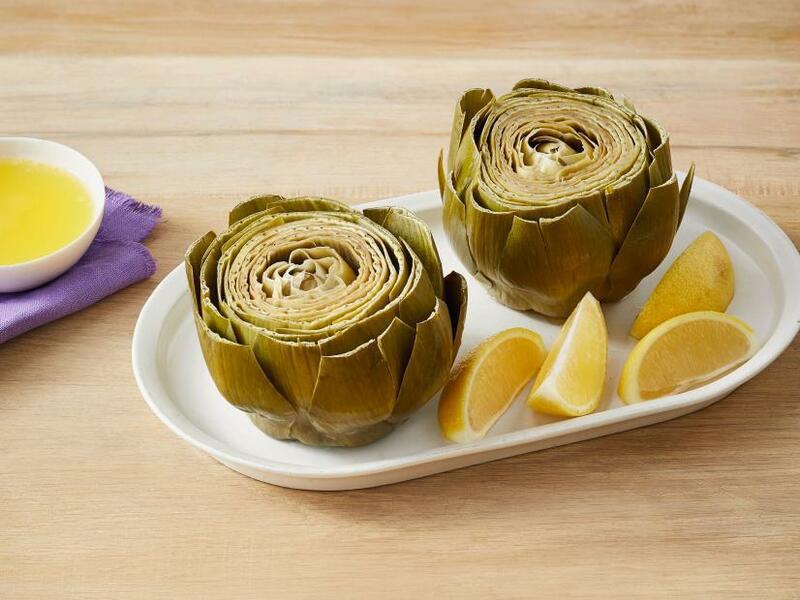 Drizzle over the artichoke with extra virgin oil and the juice of your lemon. If you think about boiling it, reserve the rind. Wrap half a garlic clove with a basil leaf. Tuck it into an artichoke leaf. At least, there should be a big one in the center. Sprinkle some pepper and salt to taste it. So, which are artichoke recipes that you would like to try first? As long as the preparation is the same, you can vary your next steps here. 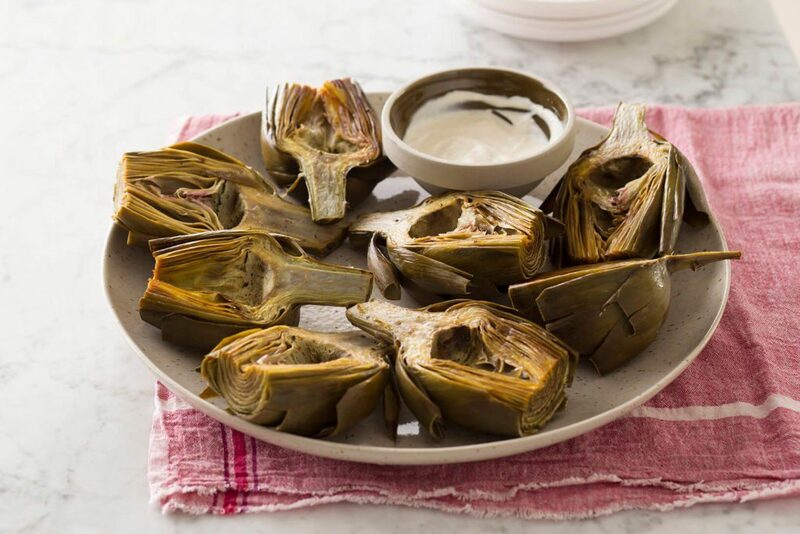 Pre-heat your oven up to 425 F. Wrap the peppered and seasoned artichoke in a couple of tin foil layers. Pinch them tightly shut. Avoid any leaks. Leave it in a baking dish for about an hour. The result is like a baked potato. Slice it with a knife all through the base. There is no tougher exterior and interior there. Fill a large pot with enough water. This is to get your artichoke well-covered. With two tablespoons of salt and a tablespoon of whole black peppercorns, add the water. Then add the rind from half a lemon squeezed over the artichoke before. Put the artichoke into the water. Weigh it down with a heatproof lid. After that, cover the pot and boil it to the medium heat. After 20 minutes, test its softness with a knife. Drain it upside down before you serve it. Bring several inches of water in a large pot to a boil. Place your artichoke in a steamer basket. Suspend it above the boiling water. Cover and reduce the heat until it becomes a simmer. Leave your artichoke to steam in 25 minutes. Do not get antsy and impatient by checking its softness too early. After the 25 minutes are over, then you can do that with a knife. Which Artichoke Recipe Is The Best? Keep your artichoke well-dehydrated. Otherwise, even slight moisture can turn it leathery and inedible. When you go shopping for the raw ones, choose the heaviest ones. That means they still consist of juice and are tender. Not only the flavor of the seasoning but also its natural flavor that you should check. If it still smells good, then you can shop for it. Which one is the easiest, fastest, and most foolproof? This depends on which method you feel most comfortable with. This is why cooking artichoke uses extra virgin olive oil. This type of oil can prevent oil smoke, unlike other kinds. Still, cooking artichoke with high temperature can cause problems. In this case, the winner is the boiled artichoke. 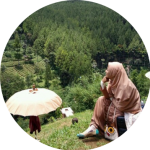 Perfect to avoid dehydration; this method has been proven to be the easiest. True, the flavor may not be as strong as the other two cooking methods. Another good point with the boiled artichoke recipe is there is no issue regarding the oil smoke. Now, how to eat artichoke? You can start by pulling out the outer scales or petals. Do that one by one. 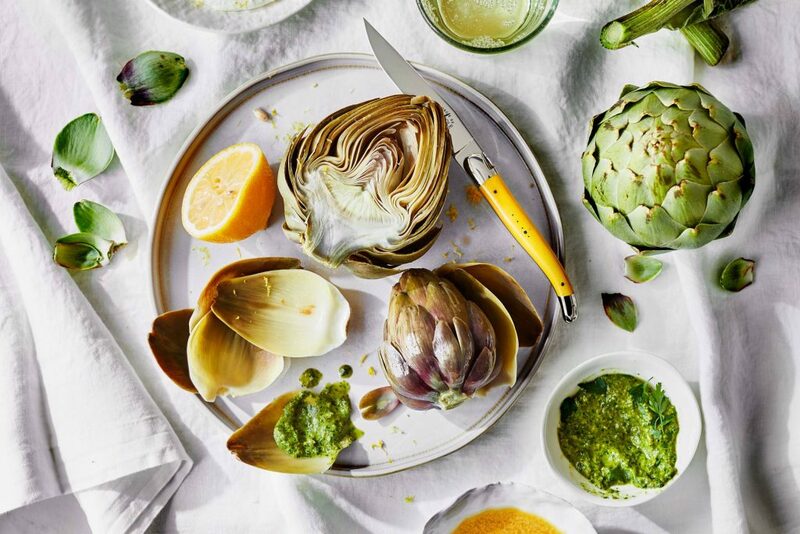 Now you know how to eat artichoke, as well as its variety of recipes. Are you ready for a bite?